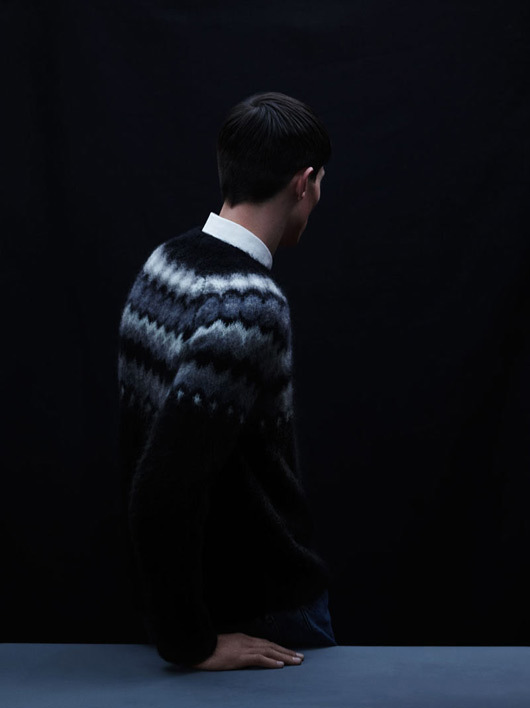 TOPMAN’s Fall/Winter 2012 Look book has been released and it looks like a winner. I’m loving the moody, darker palette which really suits a British winter. 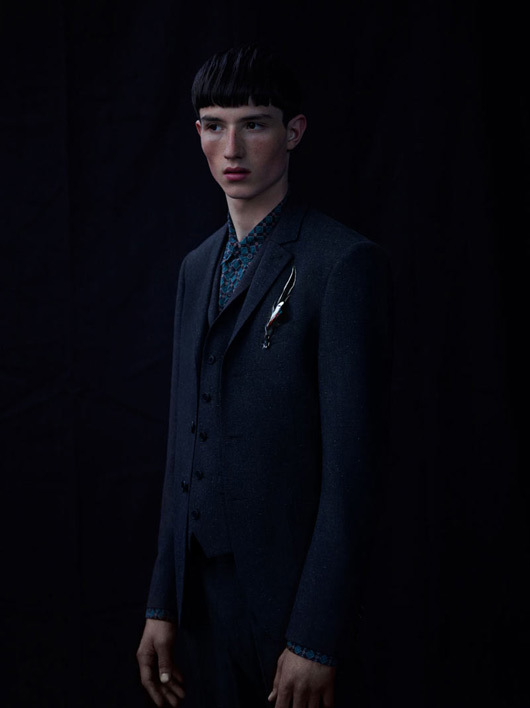 It’s seems to share quite a few similarities with the TOPMAN DESIGN FW 2012 collection shown in February. 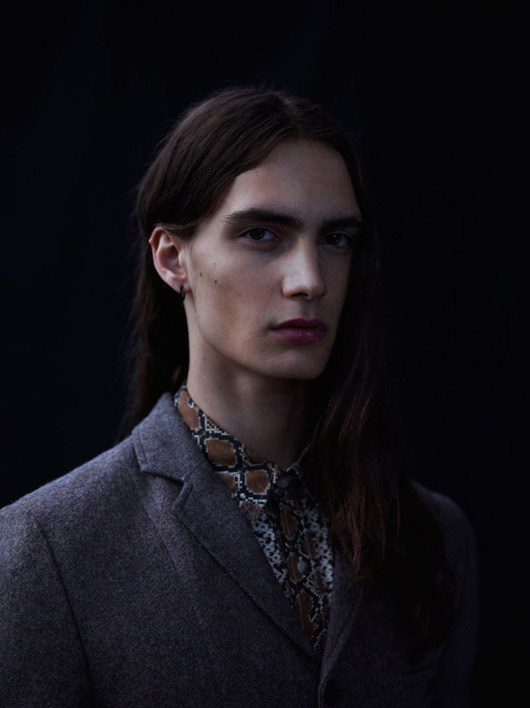 Models, Jester and Jackson Rado were photographed by Laurence Ellis and styled by Harry Lambert and Stevie Westgarth. The collection boasts a variety of popular trends at the moment. 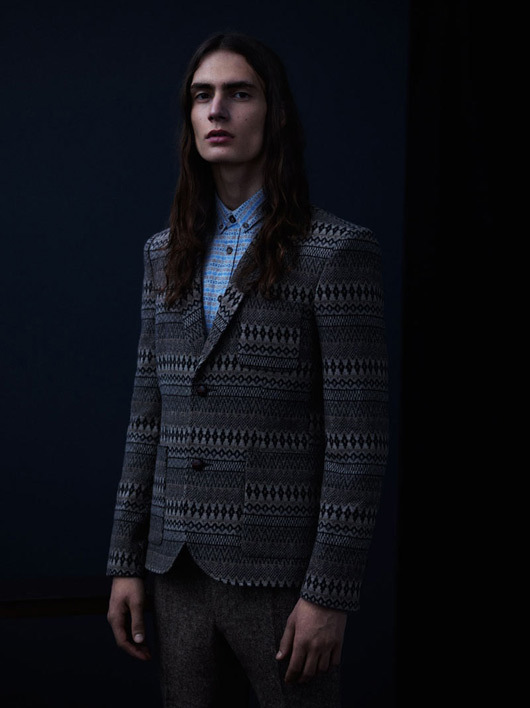 There’s a real sense of proper, British style seen in the three-piece suit, it’s also clear that the Aztec/Tribal trend is going anywhere. 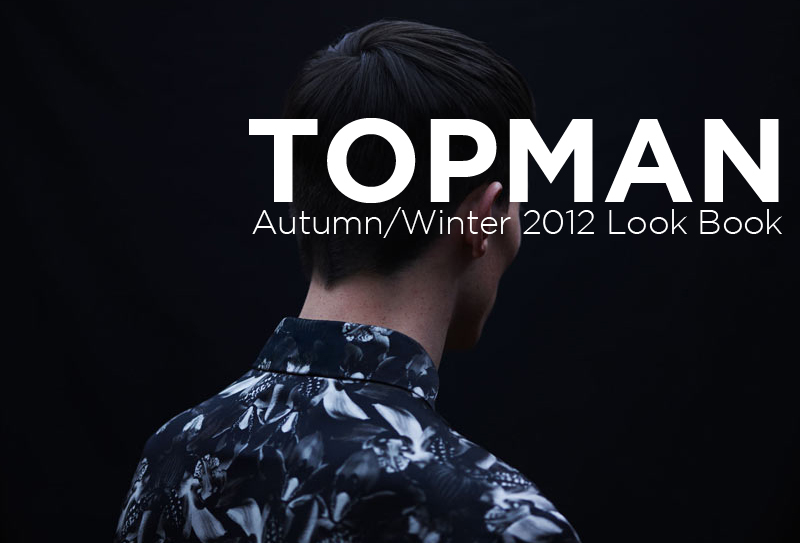 I love that TOPMAN have given it a more modern twist. 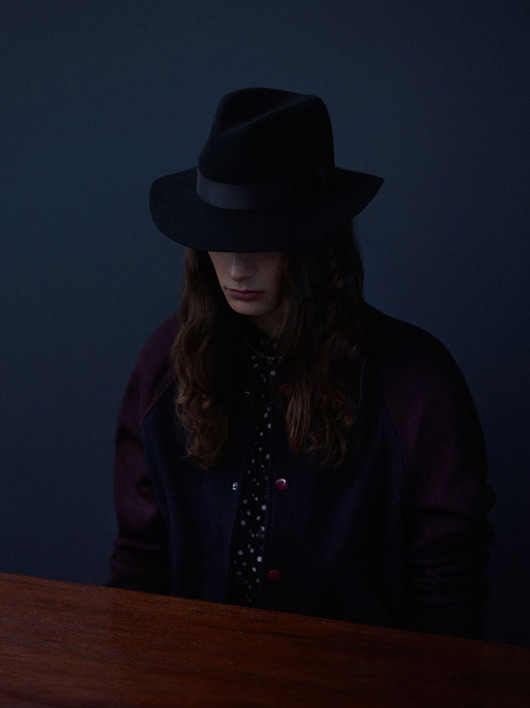 The choice of fabrics and colour palette are on-point and as usual, tailoring is impeccable. If you’ve been following some of the stuff I post, you might have noticed that I LOVE bold, intricate prints. 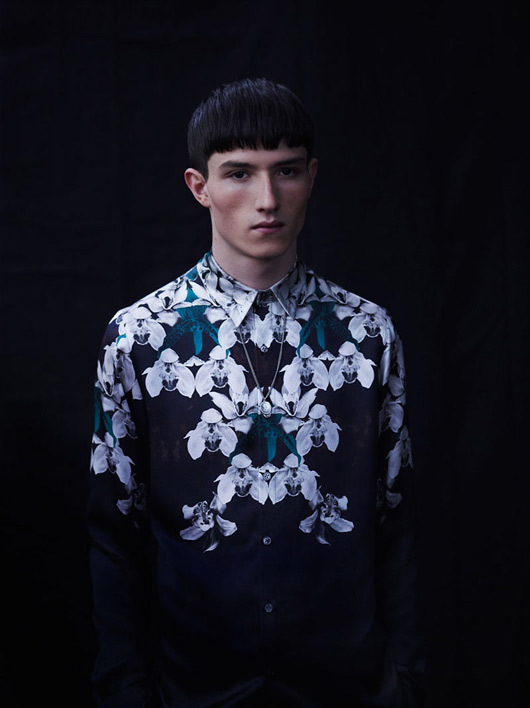 I literally gasped when I saw the orchid-print shirt below. 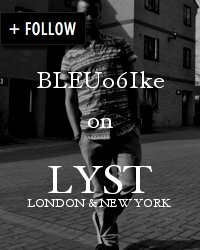 It’s got the same sense of symmetry and florals that Riccardo Tisci so effortlessly used in his SS12 collection. I’ve been waiting for a great print like this and I definitely think TOPMAN’s take on this trend is a step in the right direction. 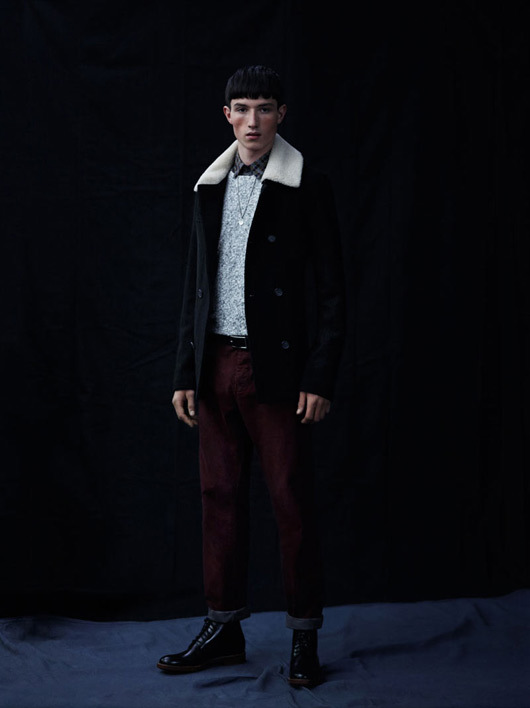 My other top picks from this collection are the shearling lined peacoat and the baseball jacket and hat combo seen in the last picture. 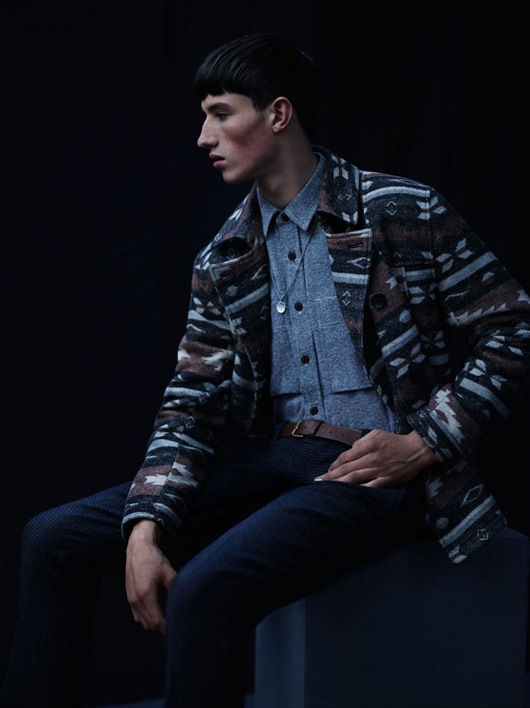 What do you think of TOPMAN’s Autumn/Winter line-up?